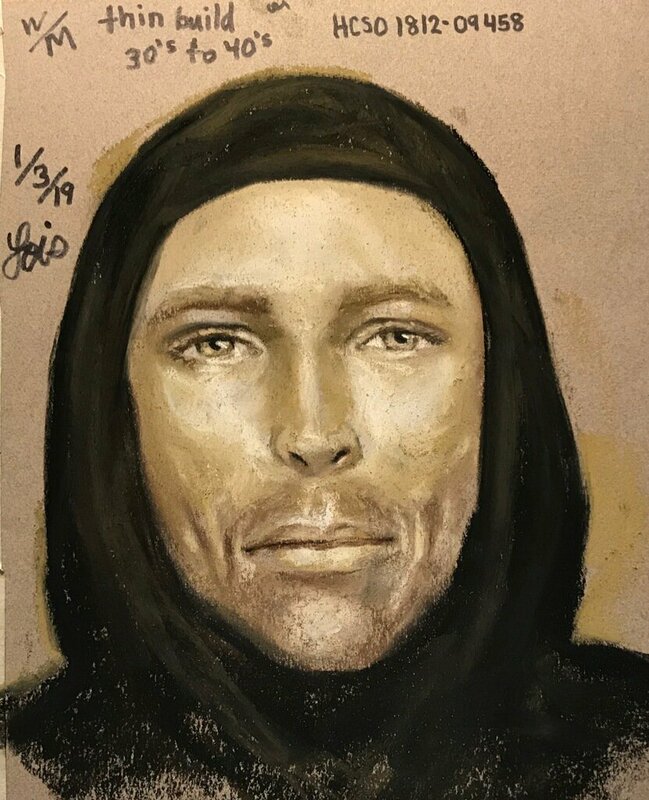 A suspect sketch and clearer video of the man police believe shot and killed 7-year-old Jazmine Barnes on Sunday has been released and the nation as well as Harris County deputies want the man found. In a meeting with the media on Thursday, Jazmine’s mother LaPorsha Washington provided a new description of the suspect. She said he was a white man with blue eyes, wearing a black hoodie and looked “sick” and skinny. Washington also said that the man did not have on glasses and did not have a beard, which was previously reported. Celebrities such as Gabrielle Union, Ava DuVernay, Bun B and more have called on people to help solve her murder. Shaquille O’Neal and DeAndre Hopkins are set to cover Barnes’ funeral costs. Jazmine died after investigators say someone in a red, four-door pickup truck pulled alongside her mother and three sisters as they sat in a car near a Walmart along the east Beltway and Wallisville Road and fired. The truck has yet to be found. A Justice for Jazmine rally has been planned for Saturday at noon in the parking lot of the Walmart on the East Beltway. On Tuesday, January 8, a viewing is planned for Jazmine at 10 a.m., followed by a public funeral at noon to be held at Green House International Church at 200 W. Greens Rd. Purple balloons will be released to the sky in honor of Jazmine and all murder victims in Houston and Harris County following the service.